Applications are invited for the following DBT‐BIF Project positions (purely temporary) at the Bioinformatics Centre, Department of Biotechnology, Sant Gadge Baba Amravati University, Amravati, Maharashtra. Eligibility: M.Sc. appear in Bioinformatics/Biotechnology/Any Life Sciences with prior experience in Bioinformatics. 2. Duration: 3 months 3. Fellowship/remuneration: Rs.10,000 per month . Eligibility: M.Sc. completed in Bioinformatics/Biotechnology/Any Life Sciences with prior experience in Bioinformatics. 3. Fellowship/remuneration: Rs.10,000 per month. 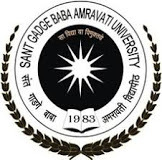 The application form enclosing bio‐data and Project Proposal/statement of purpose should be emailed or post on the name of Coordinator, Bioinformatics Centre, Department of Biotechnology, Sant Gadge Baba Amravati University, Amravati, Maharashtra 444 602., (For email: prasadwadegaonkar@sgbau.ac.in and sudarshankove@sgbau.ac.in) on or before 20th Jan, 2019. The date of final interview (21/01/2019) of eligible and shortlisted candidates. Note: 1. ** Statement of purpose is a statement by the applicant describing how he/she consider himself/herself suitable for the post and how they find it relevant to their career. 2. No TA/DA will be given to the candidates appearing for the interview on respective date.